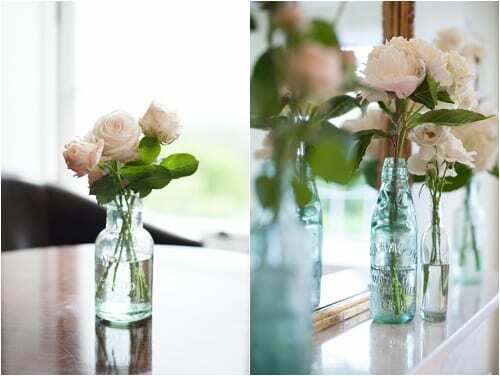 It’s been a very long time since I’ve featured a real wedding on Flowerona…and this one is an absolute stunner! 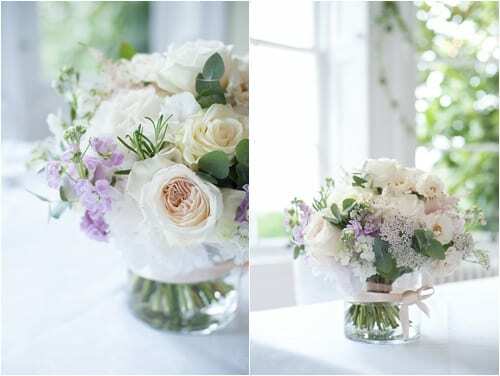 From the beautiful bride and breath-taking venue to the fabulous photography and gorgeous flowers. 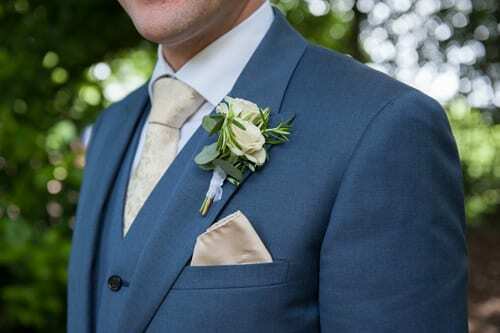 The three ladies who I’d like to thank for helping me share this wonderful wedding with you are photographer Fiona Kelly, florist Steph Turpin of Fairy Nuff Flowers and of course, the bride herself, Jess. 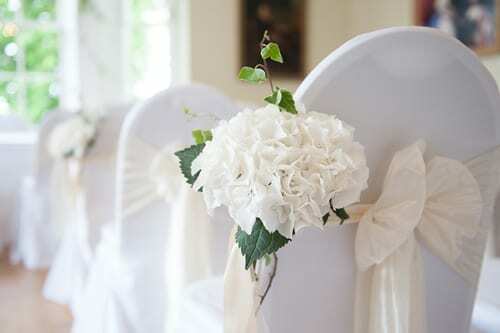 We wanted our day to be all about close family and close friends. We did not have a huge guest list (60 people) and everyone who joined us was important to us. So many of our friends travelled from overseas, which made the day extra special. 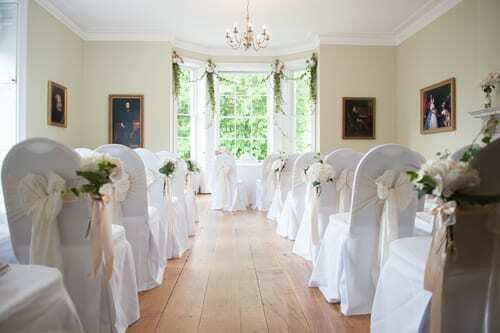 We chose Pembroke Lodge in Richmond Park, as I grew up in Richmond and because we live locally. The park means a lot to us. 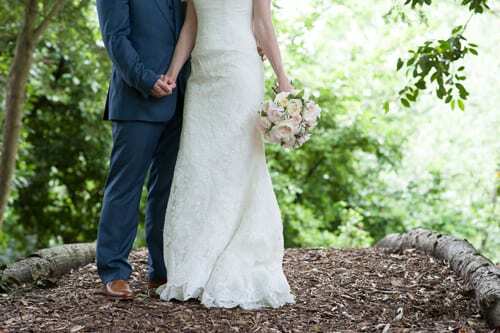 We cycle there regularly and every time we pass Pembroke Lodge now, it brings back such lovely memories from our amazing day. 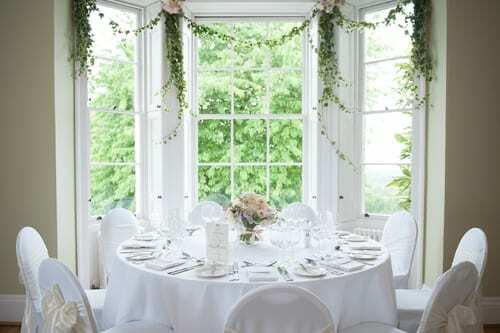 We loved the space of the Russell Suite, with its beautiful bay windows and views of the park and London in the distance. 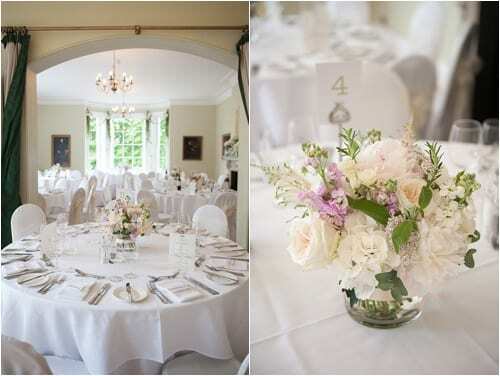 We wanted an elegant, relaxed and vintage feel to match the Georgian mansion, which was reflected mainly in the flowers we chose. 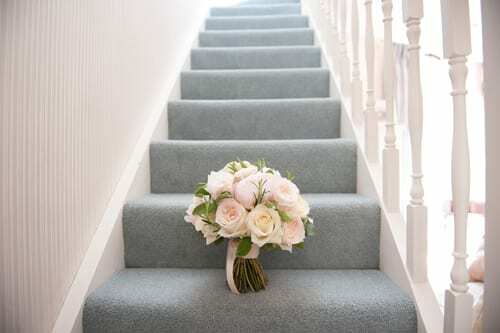 The colour scheme was white, cream and blush pink. 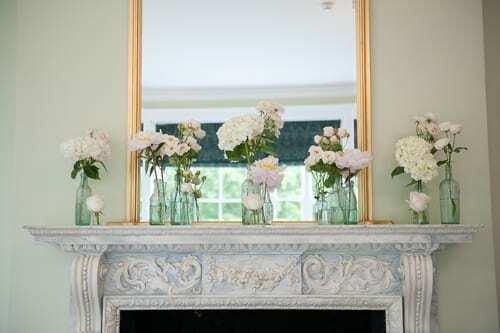 Beautiful peonies and roses were placed in glass vases and jars on the mantelpieces. 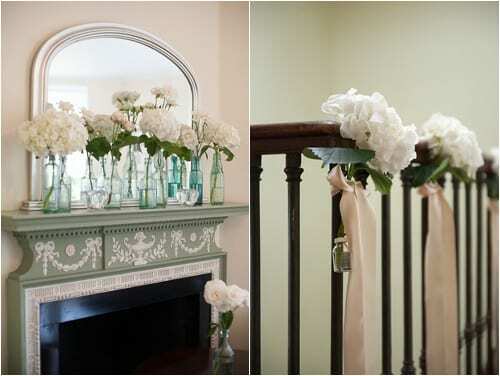 Hydrangeas were tied to the staircase banisters and on the chairs along the aisle. 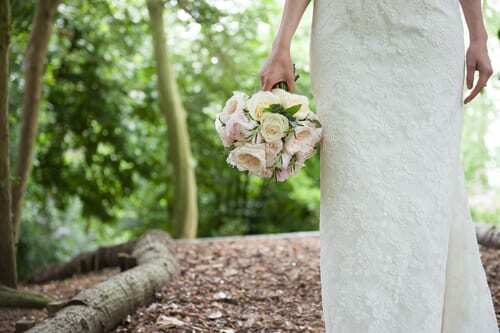 The bridal and bridesmaid’s bouquets were kept simple, as were the tablecentres, with peonies and roses tied with rosemary. 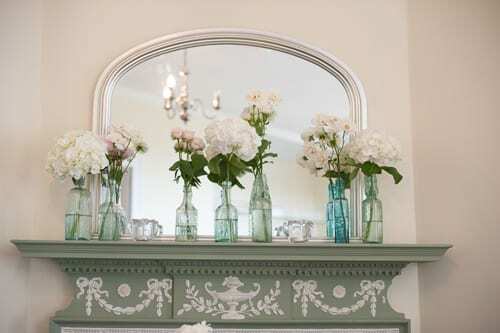 The bay windows were beautifully decorated with hydrangeas, roses and ivy. 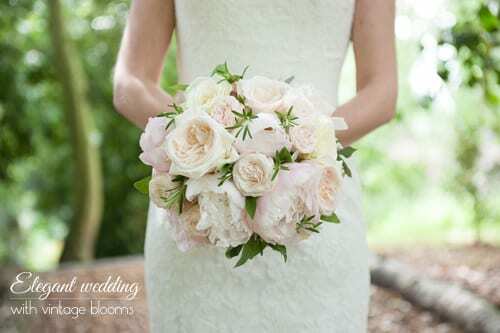 Bouquets: White O’Hara and Avalanche roses, Bombastic spray roses, peonies, rosemary, sage and eucalyptus. 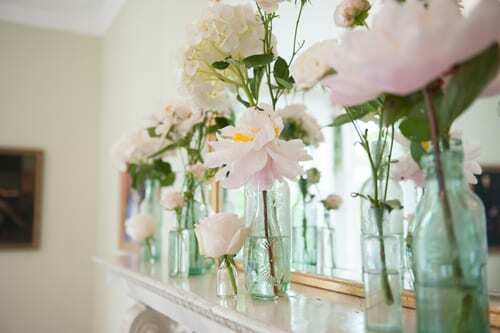 Vases: White O’Hara and Avalanche roses, Bombastic spray roses, peonies, hydrangeas, stocks, astilbe, herbs and eucalyptus. Now, on to the photos. You’re in for such a treat…! 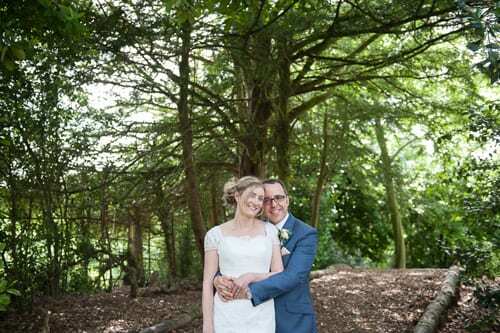 I hope you’ve enjoyed seeing this stunning wedding today. Later, I’ll be featuring an interview with Fiona. It’s so interesting to hear the path that she’s followed to become a wedding photographer. 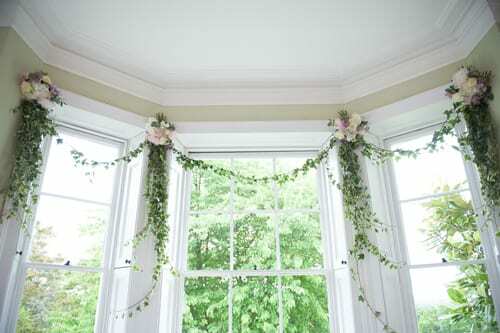 That is a beautiful wedding!I love the window with the long trails of ivy,that is so elegant!